Product prices and availability are accurate as of 2019-04-23 02:35:07 UTC and are subject to change. Any price and availability information displayed on http://www.amazon.com/ at the time of purchase will apply to the purchase of this product. 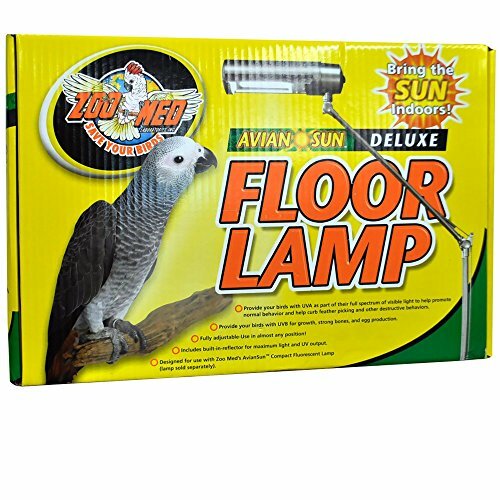 Zoo Med Avian Sun Deluxe Floor Lamp The new AvianSun? 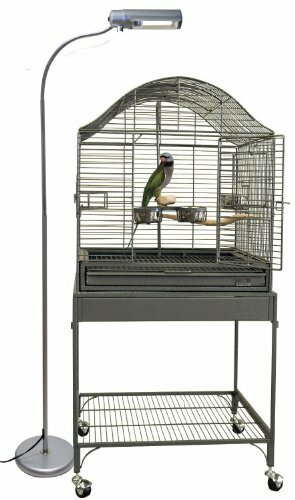 Deluxe Floor Lamp from Zoo Med allows bird keepers to provide their birds with true full spectrum light, including UVB and UVA, just like they get in nature. 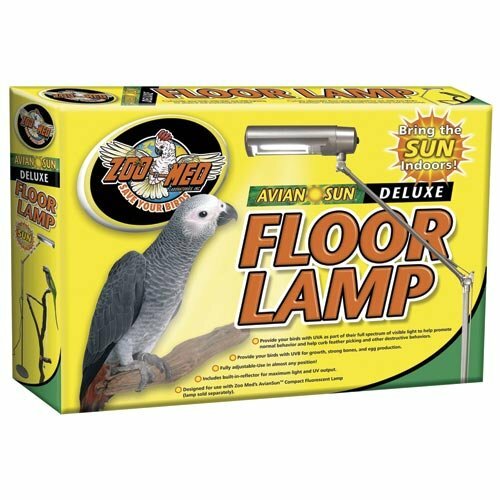 This floor lamp is designed for use with Zoo Med?s new AvianSun? 5.0 UVB Compact Fluorescent Lamp. 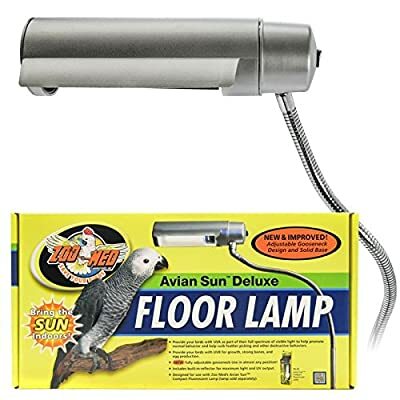 ( Light Sold Separately)This unique lighting arrangement will provide birds with safe levels of beneficial UVB and UVA for physical and psychological health. UVB enables birds to synthesize vitamin D3 for proper calcium metabolism which is necessary for normal growth, maintenance of strong bones, and egg production. UVA is visible to birds, enabling them to recognize mates, locate food, and identify different species. Without UVA, birds are essentially colorblind. The floor lamp is fully adjustable, and includes a built in reflector for maximum light output. ( Light bulb sold separately) Bring the Sun Indoors.